Have to say haven't seen much cool Dutch designs lately but this one is pretty awesome. It is a plastic hardshell backpack folded from a sheet of plastic. Have to say I would want to make one of my own too now. Especially now I am in Hong Kong and know basically all the locations I could buy the materials to build my own. Ofcourse I would not do an identical replica and have atleast my own design and style to it. 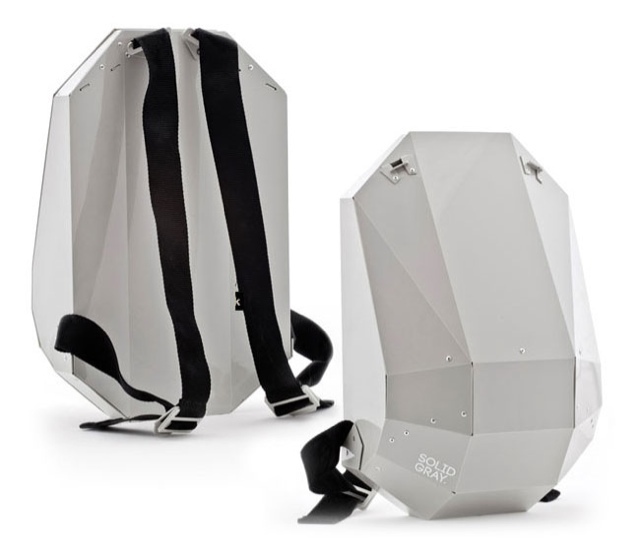 To know more about this backpack visit www.solid-gray.com.